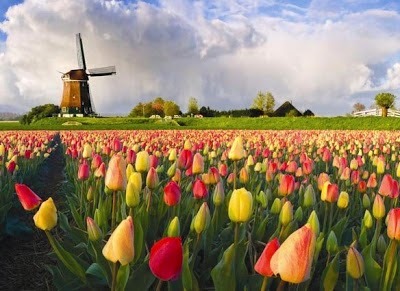 In 1559, the first tulips arrived to Holland from Turkey, where it was considered a sacred flower. The natural conditions of the Dutch farmland were optimal for its cultivation and in the following years they got different kinds of tulips never seen before: higher, more colorful, with different shades ... Soon the tulip was consolidated as a symbol of ostentation and economic power between high Dutch society, and everyone wanted to have one. The process by which the tulip changed color was at that time a secret; no one could control what color would be a tulip until it had not flourished, so Tulips quoted certain colors were better than other more common; thus the price of the flower began to grow uncontrollably until incredible prices: they were even sold stately homes, fields or entire farms, mortgages on their homes, free labor commitments up to 15 years... in exchange for a single bulb! Then came the February 5, 1637. That day was the last big sale of tulips: 99 tulips 90,000 guilders (about 15,000 euros today). 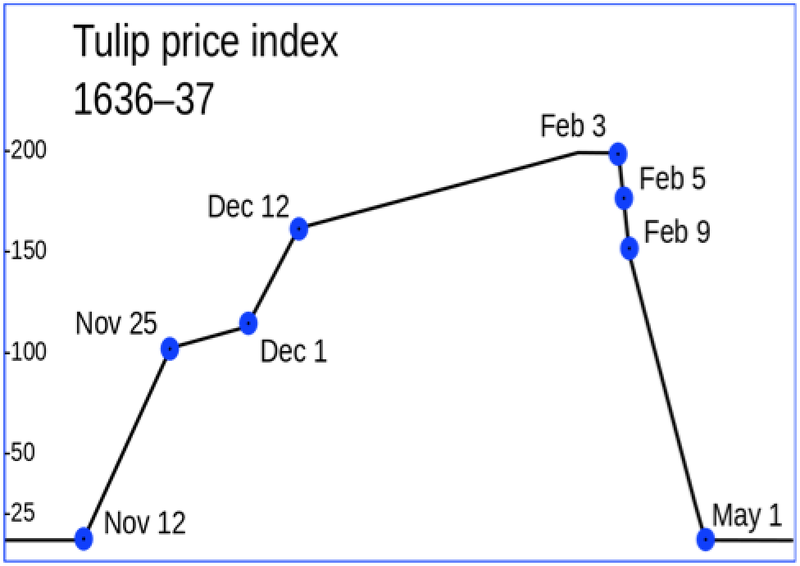 On February 6 nobody bought a single tulip. The critical voices against the absurd price of a flower that bloomed only two weeks a year, won and the market collapsed. The collective psychosis ordered worldwide sell and sell, but nobody wanted to buy. After one week, large families were bankrupt and soon went bankrupt the country!. The municipalities ordered laws that nullified the debts incurred by investors, and creditors courts were collapsing, but for most it was too late. They had a stroke the dream of being rich instantly and, what is worse, thousands of people had lost homes, jobs or family, and now had absolutely nothing. 2. Who wins and who loses with the formation of the bubble? And with his break? Maybe you would need to read about the general process of a stock-market bubble (in Spanish). When finish, send your answers to blogeducativo08@gmail.com.